I have a (probably dumb) question: Why does a steam game need public keys? Why does a steam game need public keys? Keys grant access to the software through the distribution platform. WIth ice giants it's the same. My graphics card driver is not the latest, but the latest I can get for my ATI card. That would technically be correct. Without clouds the gas giant would be featureless. They we like this back in SE 0.94. Even gas giants have to start somewhere. Before they became gas giants, they were probably once rocky planets. If finally we or some aliens have consumed the gas of this planet, there is certainly still a solid core. And I do not think that this is a black sphere! While that is true, in SE disabling a layer is no different than making that layer transparent. No. 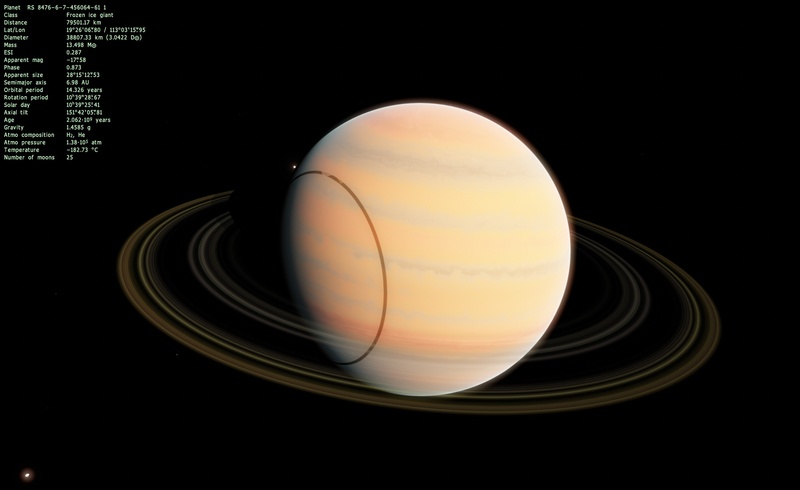 Gas giants in this update have no surface. It looks like that shadow glitch I posted earlier are moon shadows. I'm seeing a lot of them. Bells_Theorem, remove cache folder and try again. Thereafter the new beta versions can not be downloaded from this forum? From Steam can download only the few lucky people who got the keys? Oh good, I was afraid my graphics card would be to blame. Will this remain so, or it is changed again in the future? I think everything is working fine now. Even volcanos look better. I dont seem to have any problem with gas giants.